The metaphysics presented on this website is not about the occult, nor about immaterial souls, also not about the human situation in a political and social context, and not about human psychology. It is a metaphysics about the general and intrinsic constitution of THINGS, i.e. an ontology of things. And "ontology" is the science of being(s) insofar as (they are) being(s). By " things " will be meant : UNIFORM BEINGS, ontologically existing by virtue of themselves, things, which are in principle observable. So by " things " we do not mean for example concepts. CONCEPTS belong in the order of knowledge, knowledge about things, or (knowledge) about concepts, or knowledge about whatever. By " things " we also do not mean mathematical entities. Mathematical entities do not belong to the content of the Real World, but to that of the Ideal World. In that world they have an objective existence (See for the -- distinction between the -- Real World and the Ideal World, the Essay on the Universal). Also properties (of things) are not considered here as uniform beings. They do not exist by virtue of themselves, but by virtue of that something of which they are properties. In this way we just sketched a ' Substance-Accident Metaphysics ' (See the Essay on Substance and Accident). All these things are uniform things in contradistinction to aggregates (of things). An aggregate has its unity from outside, i.e. a unity caused by extrinsic factors. Aggregates therefore never show CONSTANT PATTERNS. Uniform things by definition do. Although Stars certainly are uniform things, we shall not deal with them. We leave that to other devotees. The existence of such things does NOT depend on their being observed or thought about. They exist outside the knowing subject precisely as knowing subject. So they are transcendent with respect to the knowing subject. We are in principle able to know these things AS THEY ARE IN THEMSELVES. We know this to be true because we often detect mistakes concerning parts of our knowledge. So it seems that these things just are how they are, in and for themselves, independently of our knowing them or not knowing them. The metaphysics presented on this site is in principle concerned with the same world as Natural Science is. What then is the difference? The difference is not easy to state because -- strange enough -- we don't know exactly what Metaphysics really is and because there are overlaps (this latter observation is obvious because -- as has been said -- metaphysics (as presented on this site) treats of the same world as Natural Science does). Natural Science tries to relate observational data by means of theories, models. These models pretend to predict certain observations or experimental outcomes, and so they can and must be tested and verified (or falsified) by observations and experiments. Natural Science tries to find nearest causes of observable phenomena. These causes are, like their effects, observable matter of facts. The relations between those causes and their effects are decribed as laws. These laws can be in the form of certain restrictions which must be satisfied, like for example the conservation of mass and energy in chemical reactions, or they are in the form of dynamical laws that relate input to output in a general way. Metaphysics (as presented here) tries to provide the most general scheme of Reality, by stating fundamental and general relations that are valid for EVERY being in sofar as it is a being. In this way, in a sense, Metaphysics tries to establish the most remote causes or FIRST causes. The results of Natural Science should figure as specifications of a general metaphysical theory or system. In cases where such results (of Natural Science) are beyond doubt, we demand that a metaphysical scheme must be able to accomodate these results as specifications. This does not imply that those results, obtained by Natural Science, could have been deduced from the general metaphysical theory. A metaphysical theory admits of a whole spectrum of (possible) specifications, and observation must finally decide which specification must figure as such. Also it is not possible to deduce a metaphysics from Natural Science alone, because Natural Science begins and ends with observational data only. Metaphysics on the other hand is concerned with the intrinsic constitution of things and processes (these latter from the viewpoint of things as defined above), i.e. it is looking for those factors responsible for something to be a THING (a uniform being), without those factors themselves being things, and consequently without their being observable. It discriminates between the Thing and an Aggregate, between a Thing and its Essence (See the Essay on Being and Essence), between Substance and Accident (See the Essay on Substance and Accident), between the Individual and the Universal (See respectively the Essays on The Principle of Individuation and the Essay on the Universal), between the per se and the per accidens , between Matter and Form (See the Essays on Substance and Accident and on The Principle of Individuation), and so on. Besides, but connected with, the characteristics (of metaphysics) just mentioned, another important one must be brought forward. Natural Science must proceed from one or more unproven suppositions -- presuppositions -- about the world it investigates. Most of them are implicit in her methods. It is one of the tasks of Metaphysics to make those presuppositions explicit. In so doing they will as such become part of that Metaphysics. One example of such a presupposition will be found at the beginning of the Essay on The Principle of Individuation. The viewpoint of the metaphysics here presented -- and continually under construction, hopefully also becoming inspired by e-mail reactions (and objections) -- is the metaphysics of Aristotle and Thomas Aquinas. But our concern is not the full preservation of this ancient metaphysics. We demand that such an inspired metaphysics must accord with modern standards. This implies that we are seeking to develop a REVISED Aristotelically and Thomistically inspired metaphysics of Being, thereby only concerning the above mentioned types of objects. How do we proceed to accomplish such a revision? Well, first of all we will test whether the many facts about the world (and, for us, especially concerning uniform things), established by Natural Science, can indeed figure as specifications of such a metaphysics (a revised Substance-Accident Metaphysics). Such facts are cases like the metamorphosis of insects, where a drastic transformation takes place but whereby the individual is conserved. Further, the cases of liquid crystals, are they uniform things? Cases of weakened individuality of certain (primitive) organisms, and all phenomena connected with the organic evolution, including the descent of man from animals. The status of chemical reactions, the molecules and the chemical bond (See the Essay on the Chemical Bond), etc. Secondly, we will give to DYNAMICAL SYSTEMS a central role in our efforts of revision, because of the following reason : It seems to me that every uniform thing, from the categories listed above, is generated by some dynamical system. The dynamical law governing such a dynamical system will be interpreted as the Essence of the thing generated by that system (See the Essay on Being and Essence, and the Essay on Dynamical Systems). It turned out that such an approach could solve certain long standing problems within Classical Metaphysics. Such a revised metaphysics will not, accordingly, end up as a (revised) philosophical anthropology, nor as a philosophy of science, but as a general philosophy of Being. And above all, it is not, as has been already emphasized, a philosophy of the occult, but a philosophy with both feet on the ground.
" With both feet on the ground " also means that we realize that there are more possibilities of designing a metaphysics than the one we present. The world is too complicated to be caught in one conceptual scheme only. And because it is not in the power of one individual to cover all schemes, several other possible pathways to an understanding of the world are not utilized here, not because they should be inferior with respect to our own pathway, but because of the limitations mentioned. If we want to make progress in understanding the World we must participate in dialogues, thereby being open-minded to objections and to other points of view. The only thing we demand is intellectual integrity, and that means that we are prepared to give up any position in favor of a better one. 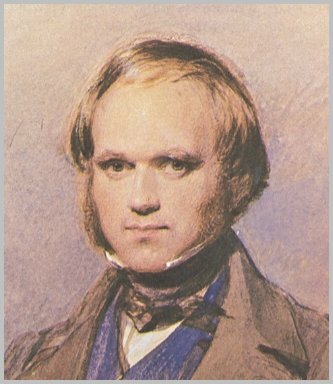 The ideas of Charles Darwin not only transformed Biology, but Philosophy as well. Their impact can be felt everywhere. They challenge perennial presuppositions, especially in the area of the ontological status of Mind, from where they go right into the domain of Philosophy. So even the metaphysician must be aware of Darwin's findings. What has been said here is quite sufficient for getting a clear idea about the philosophical investigation carried out on this website. This means that you can happily skip the next two Essays, namely (1) Introduction and Overview and (2) Status Quaestionis, because these Essays are just a detailed extension of the present Essay : Like this, they tell you about the investigation, not actually carrying it out. They give you information about the subject, method, structure and limitations of the investigation, and about the work of other authors. To actually comprehend the rest of this website studying these two Essays is not really necessary. The reader could perhaps study these two Essays later on (because they are certainly interesting), i.e. after he has read the rest of this website, in order to be able to put this investigation into its proper context.